Description: BT230 is designed by Raytools AG from Swiss in 2014, mainly for laser power from 500W to 700W/800W, supporting different laser powers on market, like IPG, SPI, Raycus, Maxphotonics…etc. It has proved stability on many laser cutting machine brands, like Hans laser, Farely, Qiaolian….etc. Now most China manufacturers use it replace Lasermech laser head. 2.Knob type focus adjustment, high precision and flexible. adjustment range : 15mm, accuracy: 0.05mm. 3.Drawer type design of protection glass seat, simple and fast to replace protection glass. 4.Built-in ring-blowing and side-blowing structure inside the protection glass seat, offers protection on cutting reflective material, dross flying during pierce on thick plate. 5.Collimator and focus lens both use special composite lens, ensuring high quality optical beam and cutting. 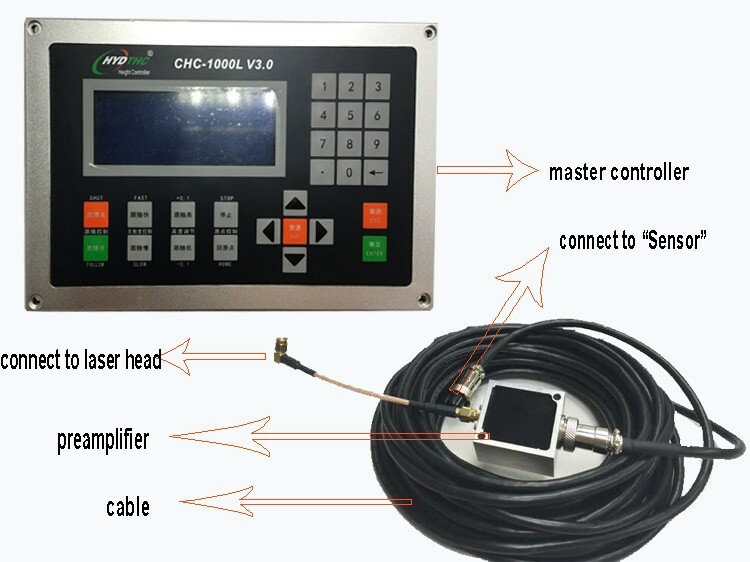 7.It works perfect with CHC-1000L auto focus system from HYD. Focus lens option(wave: 1025-1080nm): 100mm, 125mm, 150mm, 200mm(2D). 125mm, 150mm(3D). Cutting nozzle type: single layer, double-layer, and other customized nozzle. Fiber connector: QBH, LLK-B, QD. We have a laser focus system which is design by ourself , and it can use match with this torch , The model of THC is CHC-1000L , if need more information please feel free to contact us .